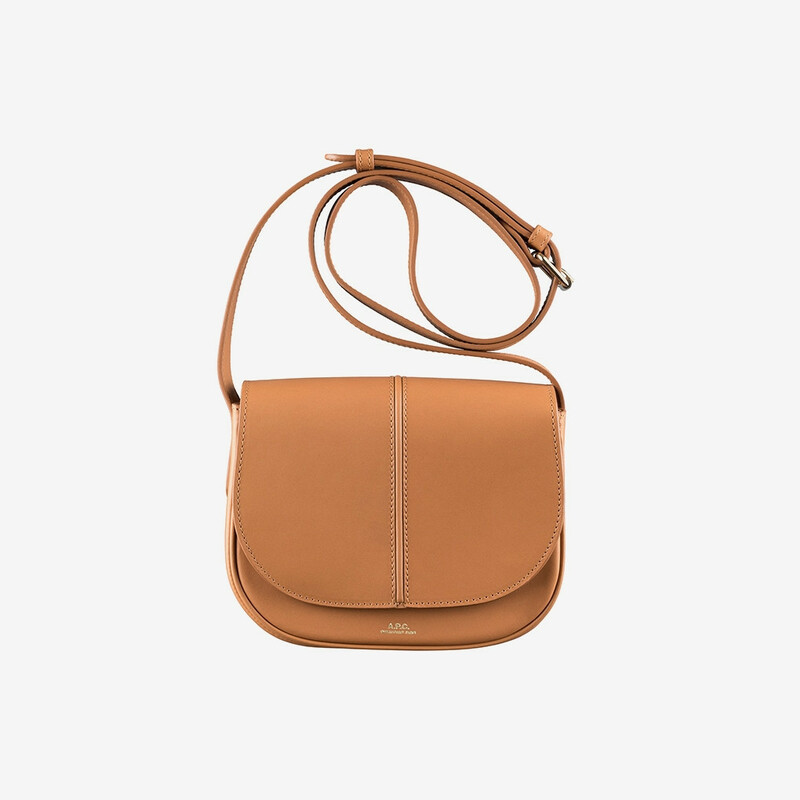 Betty shoulder bag from A.P.C. has a classic saddle form with rounded corners and piping along edges for finished look. 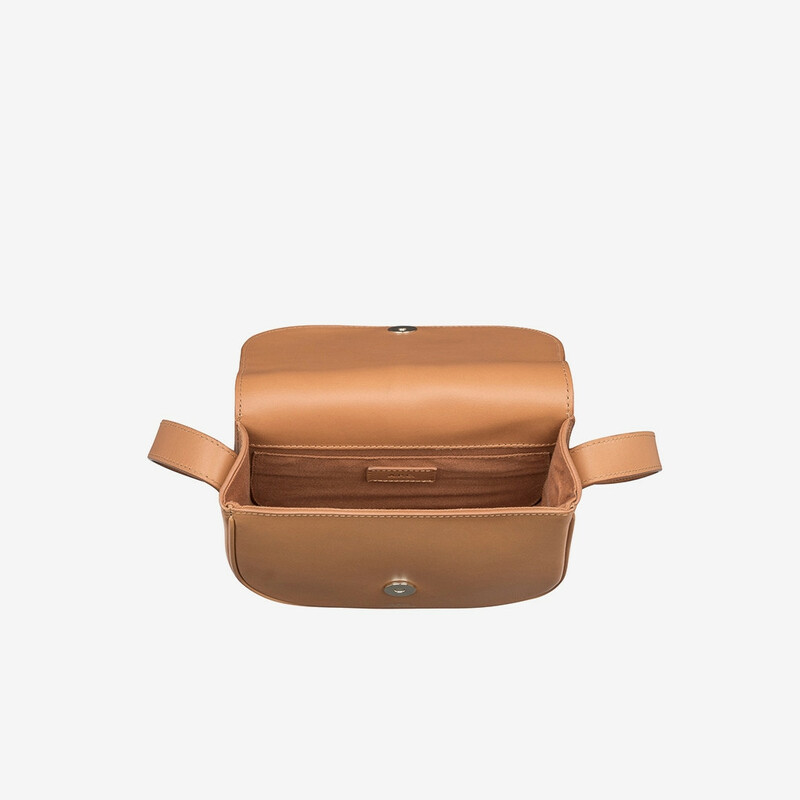 The slightly petite size and beautifully crafted piped middle seam adds a personal touch to this minimalistic saddle bag. 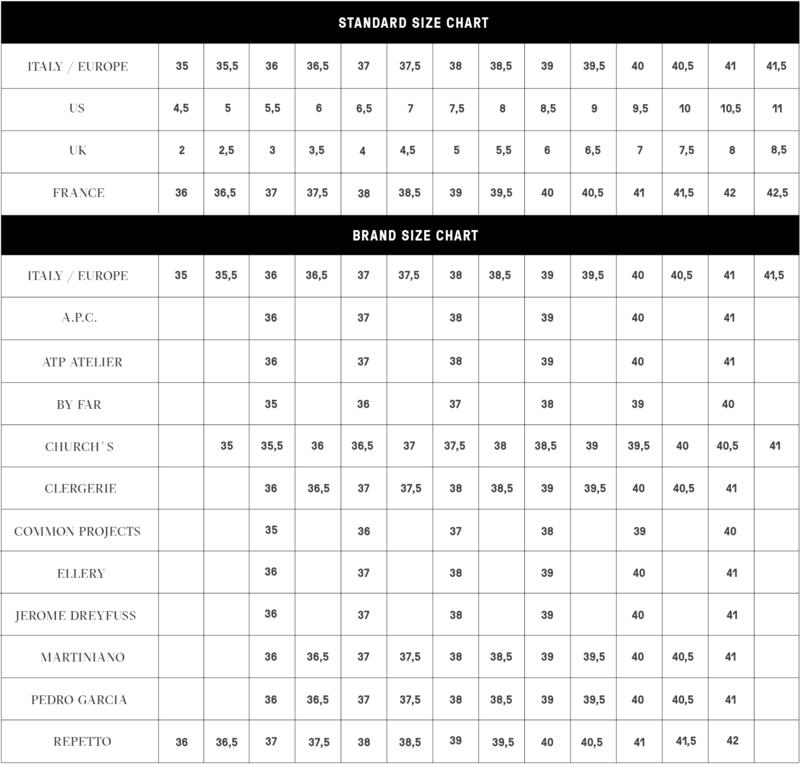 Bottom is reinforced for stable look and protection. 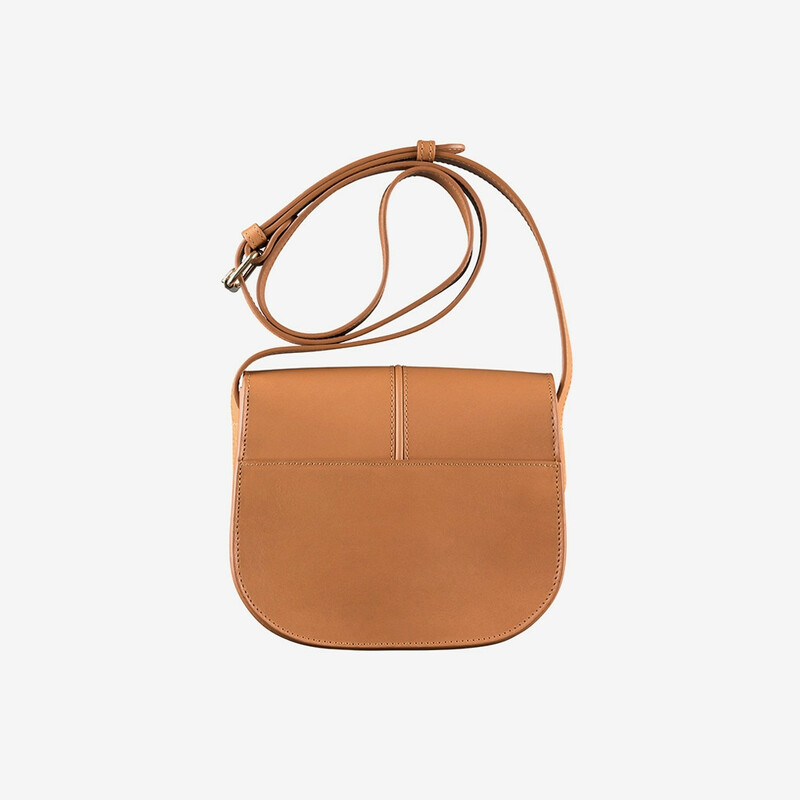 Betty bag is made from subtle vegetable tanned Spanish leather. This type of leather will gain beautiful natural patina. The bag may be carried around the chest or on the shoulder. `A.P.C. rue Madame Paris` logo embossed on front. Patch pocket with embosse. Read more..
Betty bag is made from subtle vegetable tanned Spanish leather. This type of leather will gain beautiful natural patina. The bag may be carried around the chest or on the shoulder. `A.P.C. rue Madame Paris` logo embossed on front. Patch pocket with embossed A.P.C logo on interior. Lining is made from cotton blend twill in matching colour. 1 x Betty Bag Camel was added to your shopping bag. 1 x Betty Bag Camel was added to your wishlist.